At Wendy's, we're unrivaled in our passion for giving people what they want and uncompromising in giving people what they deserve. Each of our Wendy's restaurants is a million-dollar-plus operation dedicated to one goal, providing our customers with a quality experience. That's the recipe that keeps our customers coming back ...and our employees happy. If you have the energy and ambition, we have a lot to offer. Take a look around to learn what makes Wendy's one of the best franchise opportunities Today! 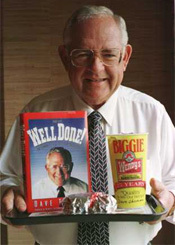 Wendy's was founded by Dave Thomas in 1969 and named after his 8-year old daughter, Melinda, who had the nickname of "Wendy." The first Wendy's Old Fashioned Hamburgers restaurant opened in downtown <?xml:namespace prefix = st1 ns = "urn:schemas-microsoft-com:office:smarttags" />Columbus, Ohio at 257 East Broad Street. The restaurant is still open today, serving our customers in the original store decorated as a living museum of Wendy's history. Wendy's is a chain of fast food restaurants based in Dublin, Ohio and owned by the United States Corporation Wendy's International, Inc. 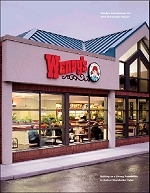 There are over 6,600 Wendy's restaurants worldwide. The chain is famous for its chili. Also, it is known for its Frosty dairy desserts, the fact that their burgers are square, its fresh and never frozen ground beef, and its making of all sandwich items to order. To learn more about the Wendy's franchise opportunity, simply complete the form below.